Black Friday may be losing some of its luster at the mall, but online, the deals shine brightly. From their smartphones, tablets or laptops -- and the comfort of the living room or Thanksgiving dinner table -- customers could find discounts all week that rivaled the in-store doorbusters. Because of that, Black Friday and Cyber Monday are no longer one-day events, and the discounts have already begun. Here is what online search results revealed shoppers were hunting for on Friday. Earlier in the week, the country was gripped by a cold snap, and parts of the northeast were blanketed by a snowstorm that made it look more like Christmas than Thanksgiving. 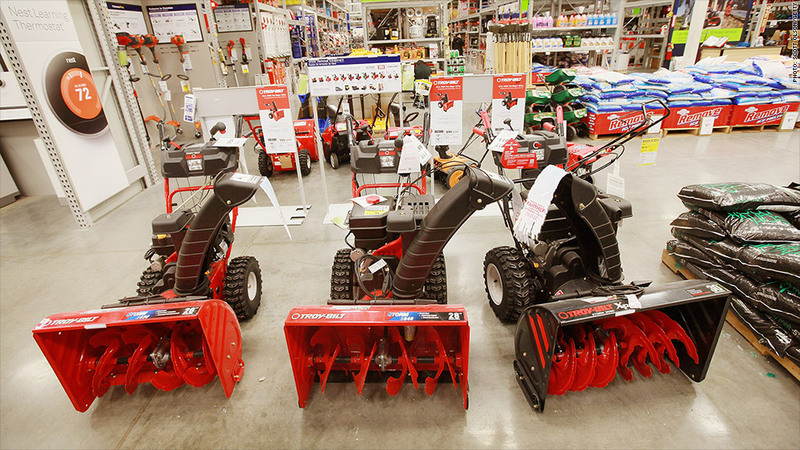 Perhaps that's why one of the top searches was for "snowblowers on sale." The popular Beats by Dre headphones are expected to be one of the season's hottest items. Several retailers were offering deals. 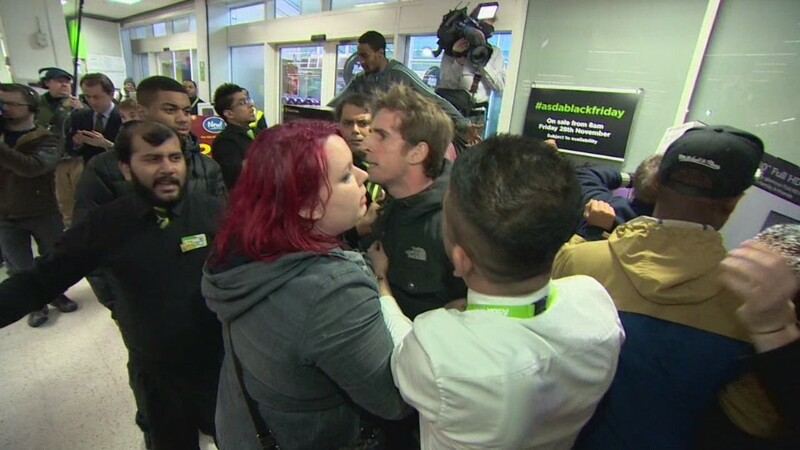 These shoppers were lined up at Best Buy, (BBY) where some models were discounted by $60. 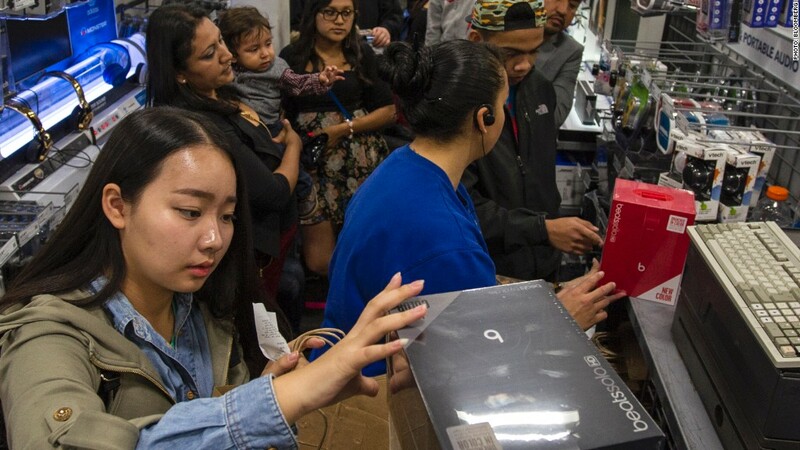 Best Buy shoppers lined up to buy Beats by Dre headpones at a discount. 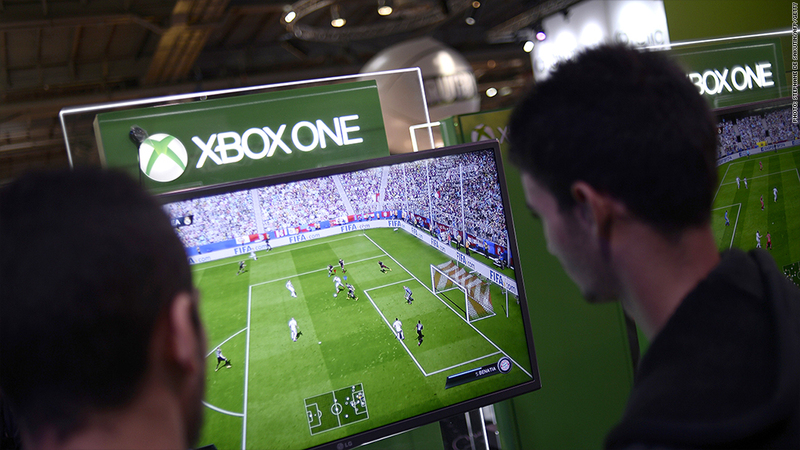 The XBox One was such a hot item that at some stores it sold out on Friday. 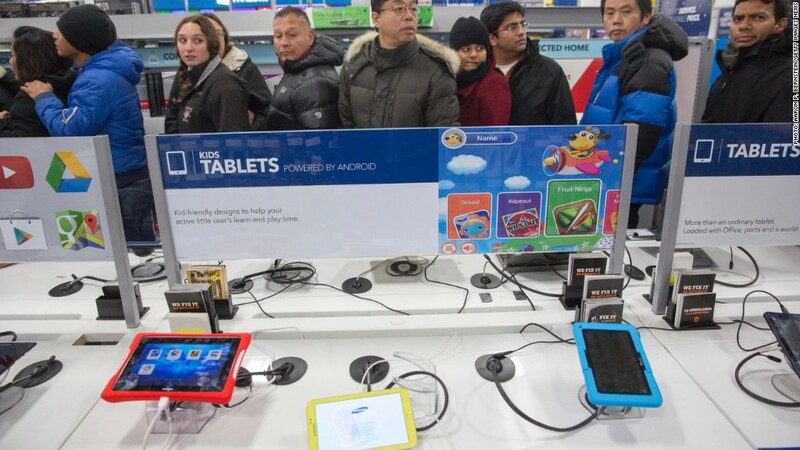 Customers haven't been rushing to replace their still-functioning tablets, so sales have been slumping. But customers are still searching for deals. 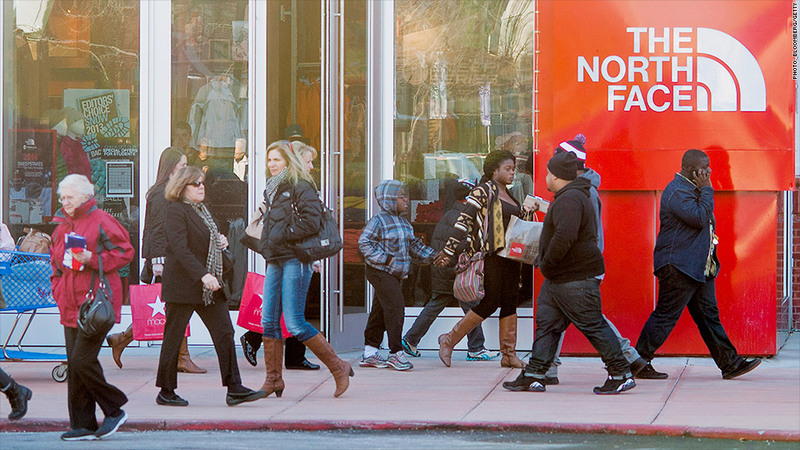 The North Face put some of its iconic jackets on sale. 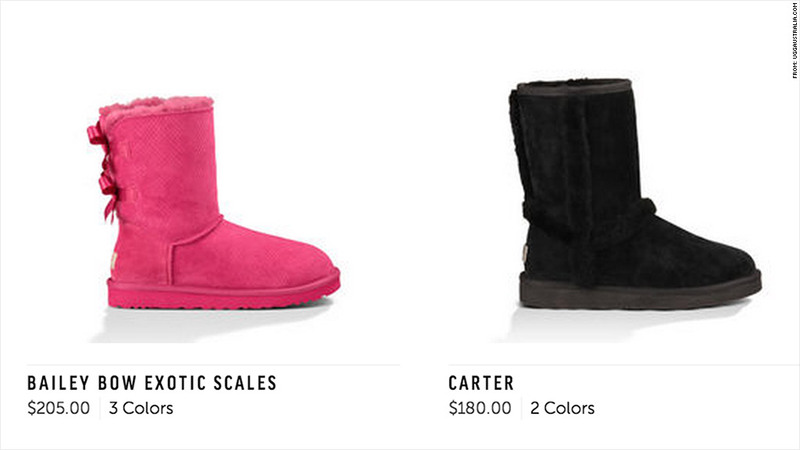 Uggs boots were also a hot item, and were discounted at some stores by a third. Tis the season for love. 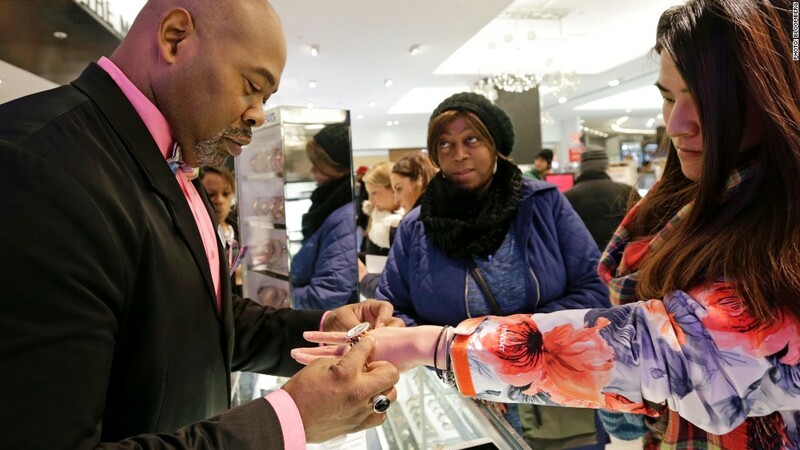 While some, like this woman at a Macy' (M)s, were browsing and trying on jewelry, others knew what they were searching for: engagement rings.